In this experiment I made a tincture from the sacred herb Syrian Rue. Its a very magical herb with many ways of using it. The colors are amazing and very bright. The pictures do no justice but very nice to look at. 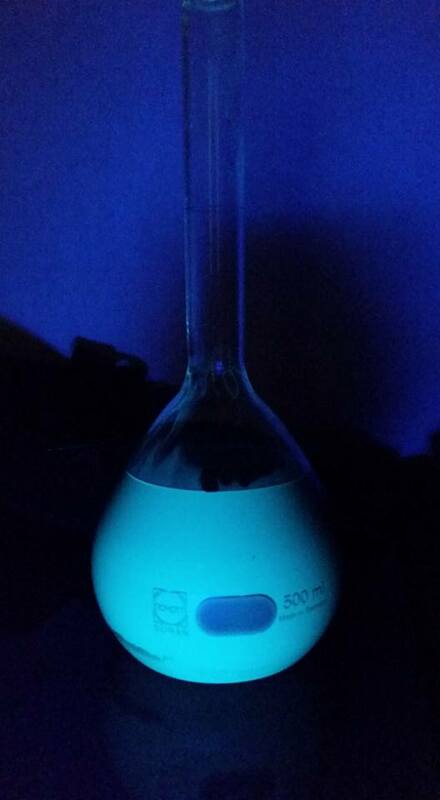 Syrian Rue tincture with blacklight. ← Big sting Nettle Spagyric tincture.